M2M (machine to machine) communications or managing remote systems is easy and lower cost with SMS messaging. Via ladder instructions, SoftPLC's can both send and receive SMS messages that contain data or text. Remote data acquistion - receive production totals, average daily status process data, etc. These instructions give you full programatic control over the conditions to send messages. FIFO queueing is implemented, which supports multiple messages that are triggered in a very small window of time, such as in an alarm annunciation application. We currently provide support for an external GSM modem (Cat No ICOMDM-GSM - see below) and some SoftPLC models have an embedded GSM modem. We also offer SIMs and very low cost SMS and data plans. Need an industrial cell modem? We offer GSM and CDMA serial modems that are compact, low power, flexible mount, and industrially rated. Modem, antenna, power supply and serial cable are all included in the low cost package, which supports externally accessible SIMs. The GSM modem, Cat No ICOMDM-GSMA, is a quad-band design that allows for world-wide deployment, having FCC, PTCRB, CE, and carrier approvals from AT&T, T-Mobile and Rogers. At the Bonlac Foods plant in Tasmania, Australia they process milk and produce a range of powdered milk products. The wet process area was originally controlled by a PLC-5/80E that was out of memory and I/O capacity. The ladder program consisted of 12,665 rungs of ladder code - primarily drives, valves, 17 PID control loops and 200 control sequences. All these were controlling routing and cleaning of milk lines and silos, where each line must be rinsed, caustic washed, rinsed, acid washed and rinsed again before use. A plant upgrade involved the addition of 30 Profibus valves and other associated equipment in the wet process area. 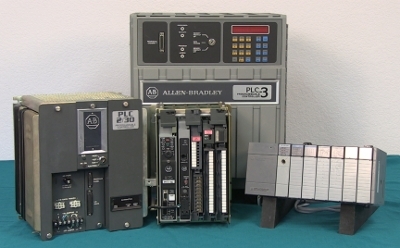 Since the system already used the largest PLC-5 possible, and it was completely full, an alternate solution was required. After reviewing the possible upgrade/replacement options, a SoftPLC PAC was chosen as the best option for the reasons of cost effectiveness, reliability and long term maintainability. The SoftPLC offered Bonlac the ability to use a drop-in PLC CPU replacement that would easily interface with all the existing I/O, equipment, networks, PLC controllers and Citect SCADA system. Another huge advantage was that the programming and configuration of all the other equipment and SCADA did not need to be changed in any way. The PLC-5 ladder logic was imported to SoftPLC with no logic changes required! Then the programming for the new equipment was added to the system. The SoftPLC connected to the existing 7 racks of SLC-500 I/O, with no wiring changes. 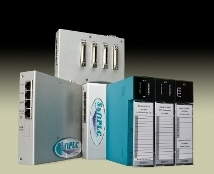 The SoftPLC services communications networks which include an ethernet connection to (2) Citect I/O servers and (6) Citect Display Clients and a DH+ connection to (9) A-B PLC-5's, (8) A-B Panelviews and (1) A-B SLC-5/04. The Citect System uses a total of 28,000 tags. The SoftPLC has been running the Wet Process Section of the Bonlac Foods milk powder production facililty since 1999. The PLC-5/80E replacement was a complete success! The system was upgraded with minimum disruption to the process - in fact, the plant continued production throughout the upgrade. The SoftPLC has proven to be all that was claimed, with no recorded downtime due to the SoftPLC.